We have some new employees we’d like to introduce to you. They come from various backgrounds and have been fitting in well and contributing to the success of Merit Tool! We thought it might be fun to play twenty questions with them. Enjoy. WHAT DO YOU LIKE BEST ABOUT WORKING AT MERIT TOOL? I like the atmosphere and the people. WHAT IS YOUR EXPERIENCE WORKING HERE COMPARED TO YOUR PREVIOUS JOB? I like working here and love what I do. I worked my previous job for 35 years before coming to Merit Tool. Although I’m learning how to work on different machines from what I’m used to, I still enjoy coming to work every day and love what I do. DO YOU HAVE ANY HOBBIES? WHAT DO YOU ENJOY DOING OUTSIDE OF WORK? I love to hunt and fish. I enjoy being outdoors and doing any kind of outside activities. I love how everyone works together as a team to get the job done. Everyone is very respectful of each other, and they pitch in and help others when necessary. You will never find anyone just standing around doing nothing. The work environment is great here, and I’m proud to be part of an awesome team! Working at Merit Tool is great! It’s definitely a lot less stressful than my last job, and there is more structure and organization, which makes my job so much easier and enjoyable. I enjoy spending time outside whether it’s taking walks along the park trails, a good BBQ with friends, or just working in the yard. I believe family is very important and I especially enjoy spending time with my 3 children and I am looking forward to the birth of my 1st grandchild in June! That all employees seem to work at their individual highest degrees of effort. Everyone works cohesively toward the common goal of maximizing results. So far, what I’m most proud to be a part of is how detail oriented we are here towards quality and craftsmanship. I can’t count how many times we sent parts to a customer that were not 100% correct at my previous employer. I’m a long time guitarist, first and foremost. Along with that, I enjoy the motorcycle atmosphere. Often times, I’m genuinely content sitting and admiring nature’s beauty from our kitchen window at home. Things of interest are Indiana’s birds, trees, and wildlife. Sounds like I’m getting old…HaHa! When you find your physical business property stuffed to full capacity and appear to be ‘landlocked’, what options do you have? Start looking for new locations? Add a second shift? Do nothing and stop your business growth? All these options come with risk, cost, possible reward, or maybe disaster. Yet, at Merit Tool there was another remote possibility. The town of Eaton owned an adjoining property with an 800 sq. ft. building built in 1936 which had previously served at various points in time as the town offices, Eaton Police department, volunteer ambulance service, and more recently used for storage. I had spoken with town board representatives about the property, and although they were interested in disposing of the property to get it into private hands and onto the property tax rolls, a process didn’t exist outside of a complicated plan which also cast doubt on the ability for the town to assure proper use of the property. So the matter was tabled. Fortunately for Merit Tool, Brad Bookout and Bill Walters with East Central Indiana Regional Planning District were able to work with the Town of Eaton to navigate the requirements for the distribution of the property. Merit Tool acquired the property in November of 2015 and has made necessary improvements since to be able to utilize the property. That small 800 sq. ft. building provided ample space to move inventory and shipping/receiving operations and freed up space in the company’s manufacturing area to add a new Okuma M560V Vertical Machining Center. In addition, the new property provided additional parking and space to expand the manufacturing space in the future. This is a true win-win for Merit Tool and the Town of Eaton. 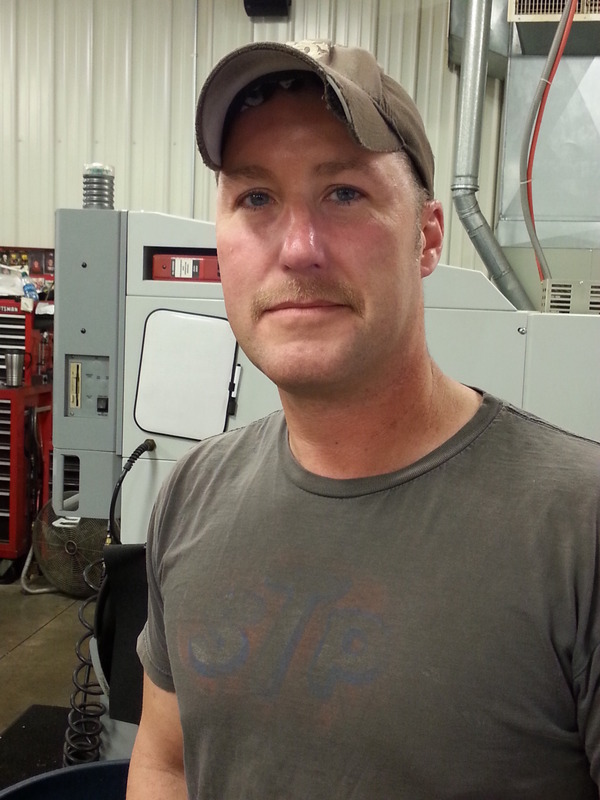 Merit Tool was able to expand its operation, enabling the hiring of additional personnel. The Town of Eaton was able to add a property onto the property tax rolls and bring a dormant uptown building back into use. Sweet! Moving forward is just what we are doing. Constant growth and improvement along with customer satisfaction is a key to our successful business. It’s wonderful working for a company that actually does what it needs to reach the next level. We believe that producing a part using computer technology is more accurate and efficient. 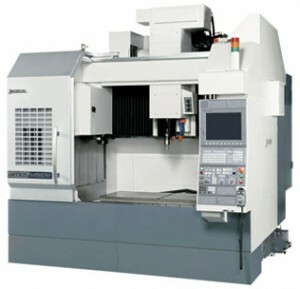 By reviewing our customers’ needs and realizing our abilities and limitations, we decided to purchase a new Okuma CNC Vertical Machining Center with advanced capabilities, including high speed machining. 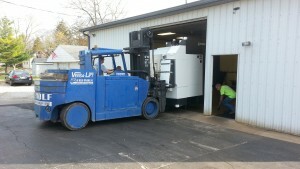 There is a steep learning curve but we are working to get this machine up and running to its full capacity. 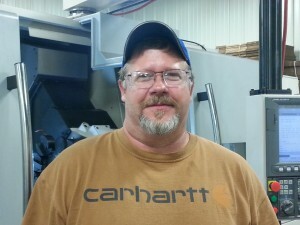 Positioning our new machine with the right machinist is a large part of the equation, and we are taking the necessary steps to train our personnel to utilize the full capability of this wonderful new machine and its technological capabilities. 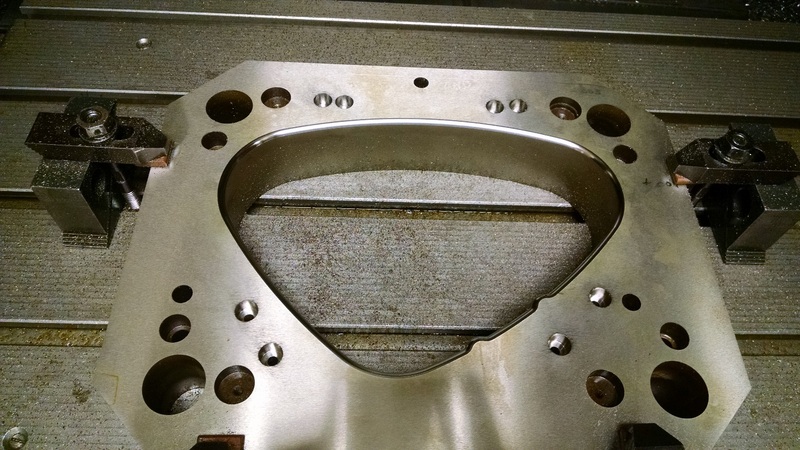 Below is a video of one of our first machining projects. Our Okuma 560V being delivered. 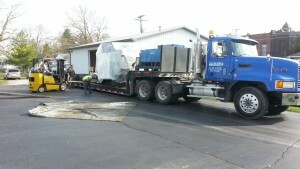 Our Okuma 560V being put into the building. Where does time go? It has been a while since I have taken the time to let our valued customers, vendors and friends know what has been happening at Merit Tool & Manufacturing. There just doesn’t seem to be enough time to do everything that needs to be done. We hit the ground running at the beginning of the year and we are still going strong. A huge thank you goes out for all the orders we receive from our exceptional customers. We also want to thank our vendors. 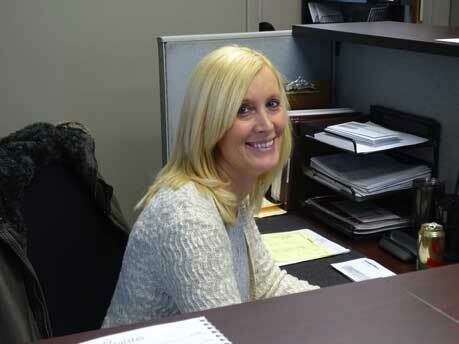 Without their dedication to excellent customer service, we wouldn’t be able to meet our customers expectations. Thank you to each and everyone of you! Building an amazing team takes time but well worth all the effort. Making the time to hand select the right people for the right position creates a win-win environment for all parties involved. Since my last post we had one employee retire and we have hired three new employees. May 11th we hired Jared Bailey. He brought several years of CNC experience and his award winning smile to our team. June 15th William Gibson II retired. He was part of our team since March of 2013. Congratulations Bill on your retirement, we wish you the best. 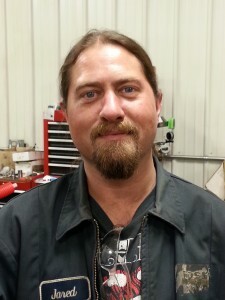 August 10th we hired David White. David brings a vast knowledge of tool & die making to our team. 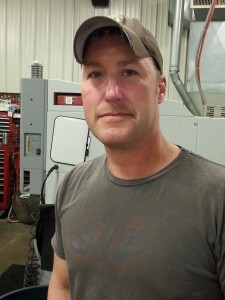 He is well rounded and able to run many different machines and grinders. 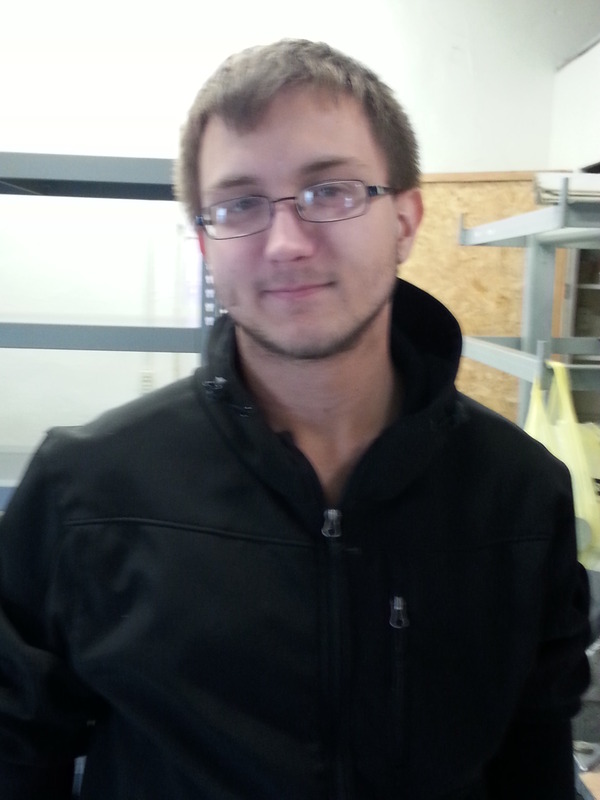 October 5th we hired Justin Gahl. He just graduated from Lincoln College of Technology. He has showed us that he has the drive and determination to succeed. Be sure to check back with us. We are making changes at Merit and we will be sharing them with you. We are so excited! My last blog was about learning AutoDesk Inventor and how amazing the program is. The picture above is a part we just finished and delivered to a very satisfied customer. Inventor enabled us to generate code for hard milling the 3D contours. Although the above part is not complex, hard milling allows you to produce geometrically complex parts to precise tolerances. Hard milling 3D contours is made easier by using AutoDesk Inventor to generate the code from the 3D model. I do believe that most people have at least one thing that they really love to do. The sad thing is that the majority of people are not fortunate enough to do it for work. I however am one of the lucky ones. I was hired as an Administrative Assistant almost a year ago. As the AdministrativeAssistant of Merit Tool & Manufacturing, I have the opportunity and pleasure to wear several hats. My all-time favorite hat to wear is the engineering (drawing) hat. My drawing hat has traveled with me everywhere. It has always and will always be a big part of my wardrobe. I will continue to add feathers of accomplishments to it when I conquer each task placed before me. I really enjoy learning new programs / systems and the challenges / opportunities that come with it. The world of 3D drawing has always impressed me. We use AutoCAD and Autodesk Inventor. Autodesk Inventor is a 3D model program and it is amazing! The fascinating thing is that I have been given the opportunity and support to learn it. This program will be my next accomplishment (another feather in my hat). I get so captivated when I’m in the drawing world that I have to force myself away to allow time to do my other responsibilities. It just doesn’t seem like work when you are given the time to do what you love to do and learn new ways of doing it better. I worked for a guy who would always say “The good guys make it look easy”. I find myself thinking of him and smiling when I figure out a way to do something easier and better. I just might be working my way up to becoming one of the good guys. Lately, we have had several jobs to do some reverse engineering. This is where the fun comes in. I sketch the part, precisely measure it, and then draw a 3D model in Inventor. After the 3D model is complete, I create a 2D dimensional drawing from the 3D model. The machinist uses the 2D dimensional drawing to make the parts. It all seems like magic to me. How in the world is something so fun considered as work? Oh by the way, I even get paid to do this. I believe this is what is called a WIN/WIN. /wp-content/uploads/2013/04/merit-logo.png 0 0 myadmin101 /wp-content/uploads/2013/04/merit-logo.png myadmin1012014-08-19 16:22:272014-09-24 03:07:58Is This Really Work? 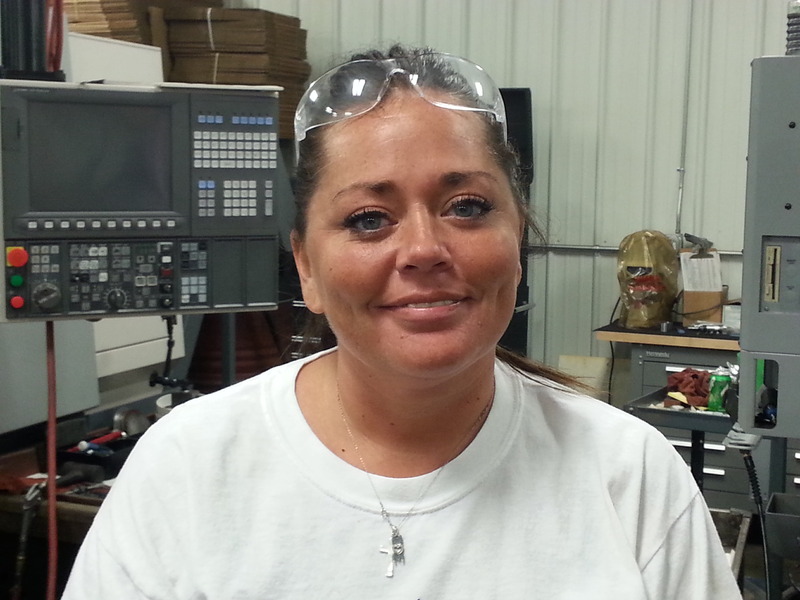 Merit Tool would like to welcome Allen Smith and Traci Hensley to our team of exceptional machinists. They both bring machining experience and the desire for success to our team. We wish them both the best. Their success is our success! /wp-content/uploads/2013/04/merit-logo.png 0 0 myadmin101 /wp-content/uploads/2013/04/merit-logo.png myadmin1012014-07-23 16:48:332014-09-24 03:08:37Our Team is Growing! 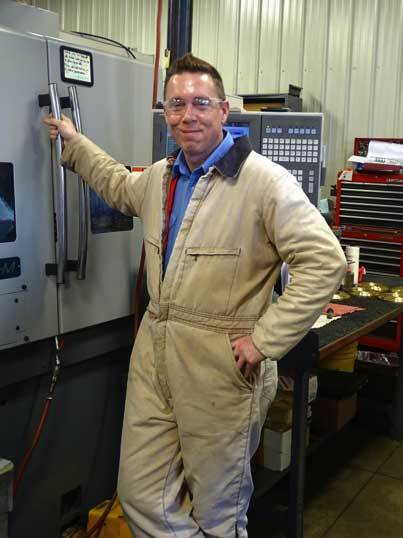 Merit Tool & Mfg., Inc. is a provider of custom machined tooling, gauging, detail parts, and assemblies. 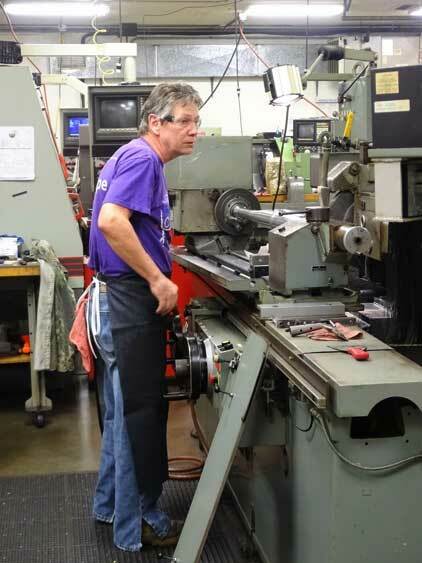 Merit Tool supplies a wide range of "niche" manufacturers who require precision machining services, whether it's tooling or limited production parts. © 2018 Copyright - Merit Tool. All Rights Reserved. From the Studio of Farmhouse Creative.